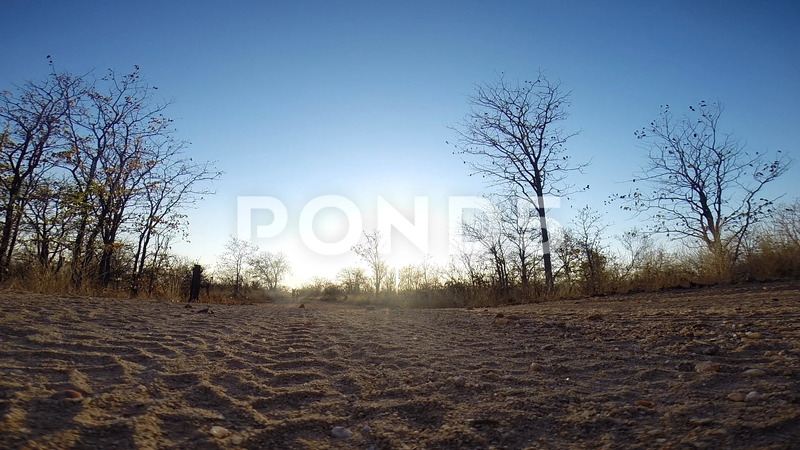 Description: African wild dog (very endangered species) filmed from the ground with Gopro in Greater Kruger National Park in South Africa. Rare animal captured by action cam. Trees and clear sky in background.